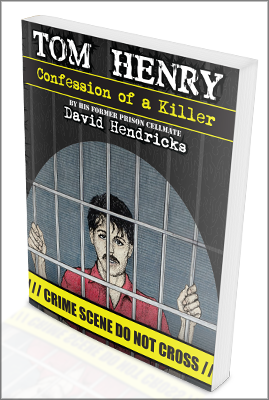 I received a phone call from Henry Tuesday evening, during which he filled me in on his parole hearing Thursday of last week, March 20. First, a little background on the process. To decide on parole for a prisoner, the IPRB (Illinois Prisoner Review Board) first sends a single member of the board (called a “Hearing Examiner”) to the prison. That parole board member interviews the prisoner and prepares a report and a recommendation for the full board, which meets later at their monthly meeting of the full Board in Springfield (that month’s en banc session). The petitioner (inmate) is allowed to have a representative at the hearing, who may make a brief statement on the inmate’s behalf. There is also an opportunity for the inmate to tell his or her own story and to express personal thoughts on why they feel they should be paroled. The interview is recorded. Henry told me that, in attendance, besides prison employees, were the Hearing Examiner, Henry’s sister, Rose, and her husband, Richard—who have become known to members of the Board by appearing at each of Henry’s hearings—and the two law students appointed by Alan Mills, Adjunct Professor at the Northwestern University School of Law. Henry talks fast and rambles when he talks. He is, in some ways, his own worst enemy at a formal hearing because of the jocularity of his demeanor and his no-telling-where-I’m-headed-next stream of consciousness method of communication. Back in January I told Ariel and Andrea that the best way they could help Henry at the hearing, in my opinion, was to tape duct tape across his mouth—and make sure to run it around the back of his head so it stays in place! Thankfully, they didn’t take me literally, but they, according to Henry, were fantastic advocates and excellent controllers as well. “They didn’t miss a single point we talked about beforehand,” he said.